The project is meant to create a platform of communication between contemporary Romanian writers and young readers. “Observator Lyceum” is a project initiated in 2016 by the “Observator Cultural” magazine with support from the Romanian Literature Museum, after the model of the prestigious French prize, Goncourt des Lycéens. The project is meant to create a platform of communication between contemporary Romanian writers and young readers, out of the wish to instill in them a passion for reading and for Romanian literature. 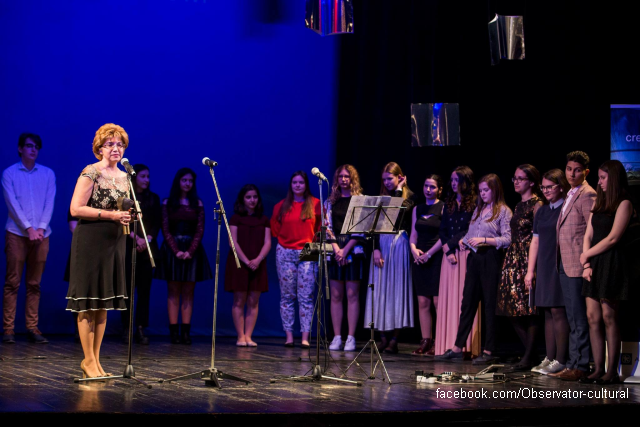 Awarded during the Observatorul Cultural Award Gala, in 2018 the project enjoyed the participation of students from 9 of the best high-schools in Bucharest, who granted the Observator Lyceum Prize for prose. Students receive books, read them and jury: the winner in 2016 was Octavian Soviany, for the novel The Death of Siegfried, brought out by the Cartea Românească Publishers, in 2017 Vlad Zografi, with the novel The Side Effects of Life, issued by Humanitas Publishers, and finally in 2018 Tatiana Țîbuleac with the novel The Summer When Mother had Green Eyes, brought out by Cartier Publishers. Carmen Muşat, the initiator of Observator Lyceum, believes the project is a special opportunity for both students and contemporary writers. Thanks to the project, students discover contemporary literature and develop their critical spirit, which can’t otherwise be stimulated by either the school curricula which hasn’t been changed for tens of years or by the media, which gives little coverage to cultural events. To Dorica Boltaşu Nicolae, a teacher at the “Iulia Haşdeu” high-school in Bucharest, Observator Lyceum is not the first project she takes part in outside the school curricula. She organized debates and workshops for her students and has recommended to them several contemporary writers, who could stir her students’ interest in literature, thanks to the theme they approach. Lorena Mihăilescu and Ana Maria Ion, students with the ‘Iulia Hasdeu’ National College, have been part of the jury of the Observator Lyceum since the very first edition. Observator Lyceum gave them the chance to understand that each argument and opinion matters and that contemporary literature connects one to the world one is living in.